A unique little letter folder that is always there when you need it. 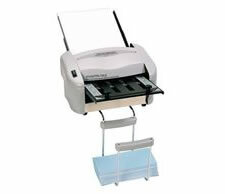 It can sit right on your desktop so whenever you need to fold a document, it is ready. 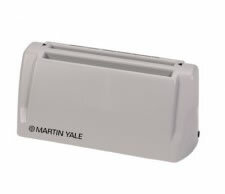 The Martin Yale P7200 paper folder is a one of a kind machine in its category. 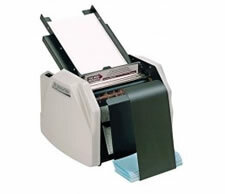 Small and easy to store, this folding machine does most common folds and a continuous feed of up to 50 sheets of 20 lb. bond. 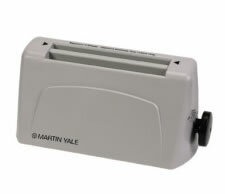 The Martin Yale P7400 folding machine is small and easy to store. This machine does most common folds and a continuous feed of up to 50 sheets of 20 lb. bond. 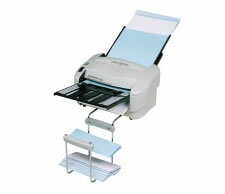 Able to accommodate most copy papers and letterheads. The Martin Yale 1501X folding machine is a high speed unit that takes a stack of up to (150) 20# sheets and folds them in a snap to many common and adjustable folds.